The key to finding joys in life is to never stop trying and failing and trying all over again. This is what I’ve learnt through the years of searching for something I really want to do in life. I’ve done photography, web design, graphic design, and some on the side. I liked them all… But I don’t feel fulfilled inside. Then came a day when my client asked if I would like to write for their family section since I’m a mother of three and they’re out of writer for said section. I took it up thinking I’d just help them to write a few articles until they could find another writer. I’m not even qualified to be called a writer anyway hehe… I got hooked into writing ever since and I didn’t think that my articles would be so well-received but they were all in Top Posts with more than tens of thousands views! This year, I’ve also started doing a halal Chinese confinement food delivery business. It stemmed from my passion to cook Chinese and Japanese food using halal ingredients. Close friends knew the lengthy experiments I’ve done to recreate the same taste and since I’m a Muslim revert, I’ve tasted non-halal dishes before I became a Muslim. I’ve been sharing with them how I made certain sauce like teriyaki as most teriyaki sauce sold are laden with alcohol. When I was pregnant with my first baby, I’ve had searched high and low for a Chinese Muslim confinement lady and there were no halal Chinese confinement food delivery available too. Imagine I even went up to MACMA asking if they know anyone doing confinement services. I ended up hiring a Malay confinement care service for a week but the food I had were not what I looked forward to. No doubt the food was good but it was a matter of taste — I grew up having Chinese food most of the time, being in confinement is a time when you want to have something nutritious yet close to your heart. You’re being confined for 44 days, of course you’d want something you’d at least enjoy eating! After having 3 children and having my own DIY confinement, I thought I should start doing this as something that would benefit other Chinese Muslims like me. That’s how Halal Chinese Confinement was born. Not long after that, I was interviewed at NST on being a blogger mum and entrepreneur. Finding your joy in life equals to being successful in life and I see success as something that can’t be measured by what you’ve achieved, what position you have in your company, how much money you have or how big your house is, et cetera. It is more about how happy you are. If you’re doing something and you feel ecstatic about it every day, you’re successful. That’s the way I see it. 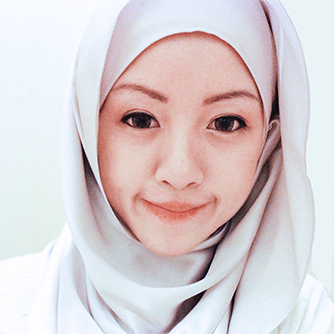 Assalamualaikum Zara, what a lovely blog you have. I dropped you an email (ask.birthink@gmail.com) do hope to hear from you soon!